But I have 3 mice, all females, and one is smaller than the other two! 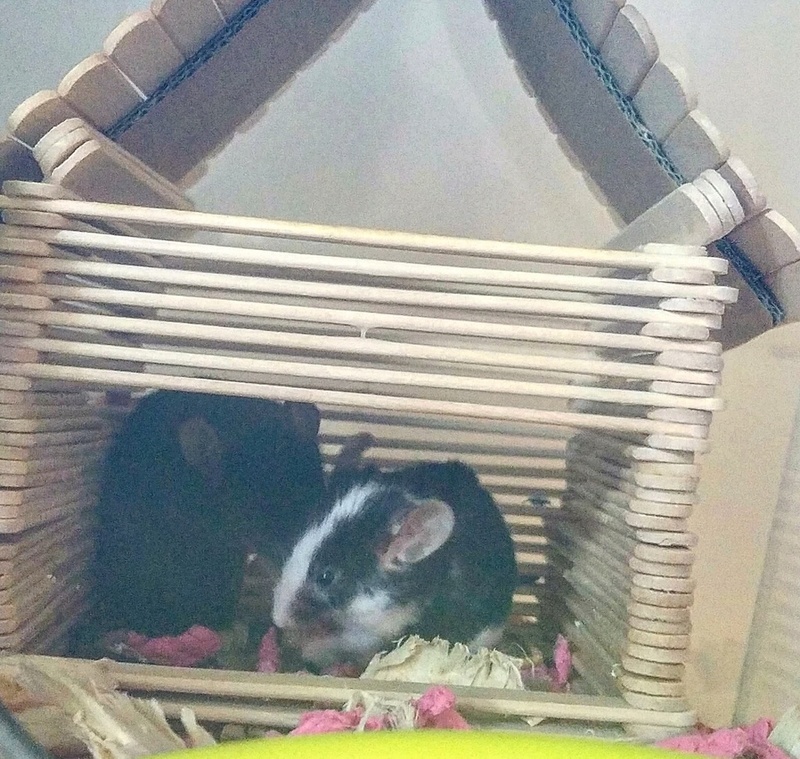 They're all from the same "lot" at a pet store, and they get along quite well (they all have the occasional squeak and squabble from time to time- no blood is ever drawn) but I'm concerned as to why is she smaller than the other two mice? 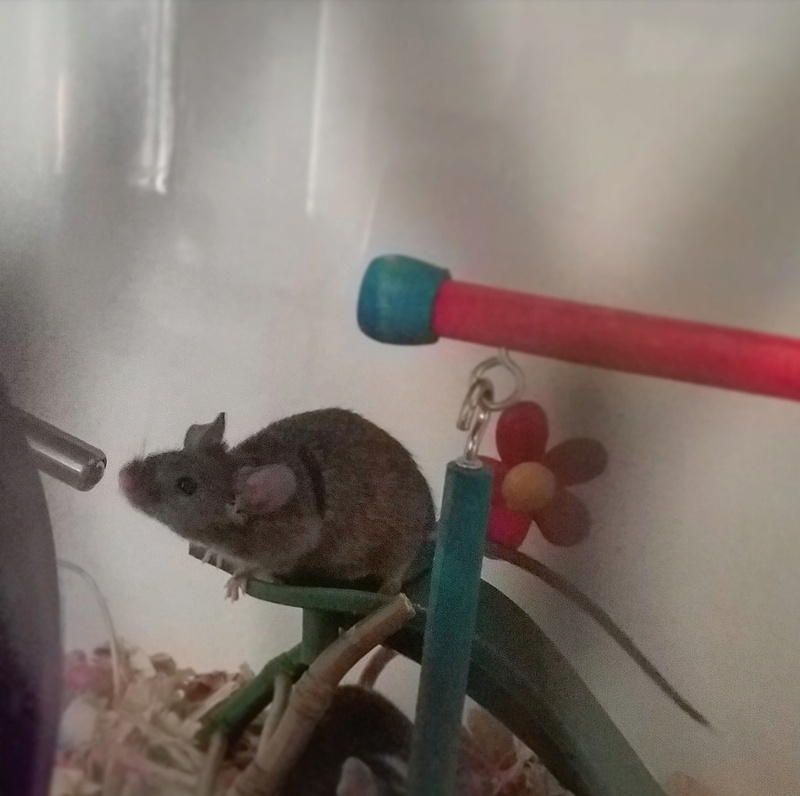 This is the same mouse that is moving more slowly than the other two, but she is also the most tame. She's not afraid of me in the slightest. (See post "One Slow Mouse" for more on that). 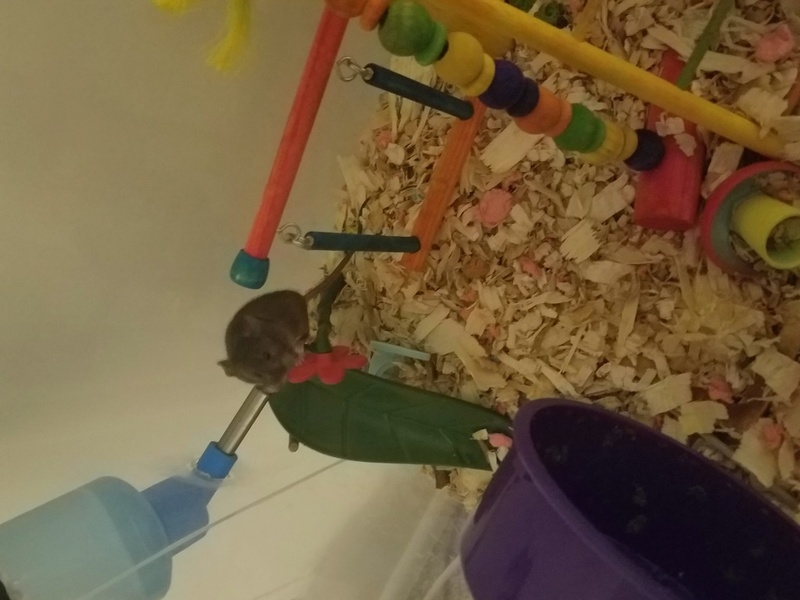 I see that she's eating, but I wonder if she's not getting enough food with the other, bigger mice around. They all share a large food dish that is filled every day with a pellet mix, sprinkled in are some treats (meal-worms, yogurt drops, extra seeds, fresh veggies or fruits) every few days. During feeding, should I separate the smaller mouse into another bin to ensure that she is getting enough nutrition? Or are some mice just smaller than others? ^^^ here she is, sitting around. Re: Malnutrition or Just Tiny? Unless she seems lethargic, stops eating/drinking, has trouble breathing, or other symptoms of illness, there's no need to worry! I used to have a very tiny mouse named Holly, she was 19 grams her whole life, which is quite tiny for a full-grown adult mouse. She had a few strokes, and lost her tail, but she lived a normal lifespan of 1 and a half years! Now that's a strong little mouse. So despite being the "runt" of the group, your girl should be fine as long as she's not looking like she's sick. My Holly was really slow too, she used to eat very, very slowly and would sit in the bowl for a very long time, but it never seemed to cause her any health issues. @AnonymousMouseOwner wrote: Unless she seems lethargic, stops eating/drinking, has trouble breathing, or other symptoms of illness, there's no need to worry! I used to have a very tiny mouse named Holly, she was 19 grams her whole life, which is quite tiny for a full-grown adult mouse. She had a few strokes, and lost her tail, but she lived a normal lifespan of 1 and a half years! Now that's a strong little mouse. So despite being the "runt" of the group, your girl should be fine as long as she's not looking like she's sick. My Holly was really slow too, she used to eat very, very slowly and would sit in the bowl for a very long time, but it never seemed to cause her any health issues. » tiny pinholes in bean plants?